Following the lead of the innovative Beater Blades, KitchenAid has developed a metal beater with a flexible edge. It incorporates ingredients more thoroughly and more quickly for better mixing. 2 sizes, fits all KitchenAid 5-qt. and 4.5-qt. 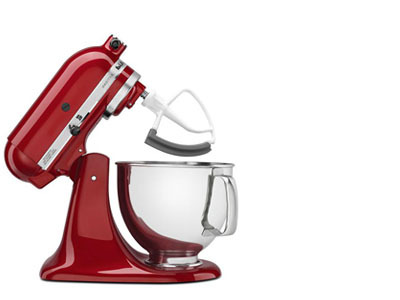 tilt-head mixers, such as the Artisan, or get your hands on the 7-qt. Proline version.